I have been a licensed Master designer for seventeen years in Ohio. 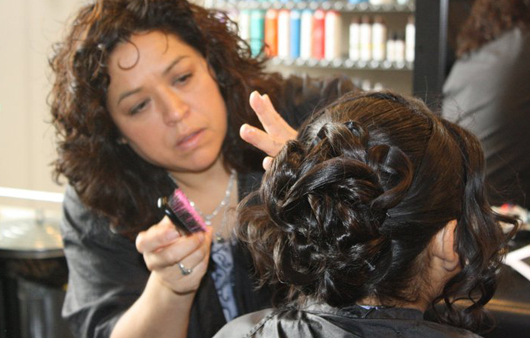 I hold Ohio State Managing Cosmetologist license and also Independent Contractor License and Cosmetology Instructor License. I specialize in all aspects of the beauty industry including Permanent, Semi, and Demi Permanent hair color, and Permanent Waving. I am also trained in facial and body waxing. I have been educated in Tressa, Aquage, Ref, Matrix, Redken, and Aveda product lines. I have been told by my peers that my "UPDO's rock".